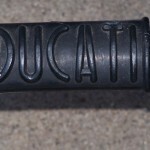 With all of the modern sportbikes and racebikes coming out of the Ducati factory these days, it is sometimes difficult to remember that Ducati started out building average commuter bikes of very small displacement. When the factory took those bikes racing in the lower classes (125cc, for example), it was discovered that RPM was limited by valve float. Thus, Ducati designers and engineers looked to methods other than springs to close valves, and adopted the desmo system: rockers open AND close the valves. The result was a several thousand RPM improvement to the rev range of the motor and the bottom end bearings became the limiting factor. Desmo actuation first showed up on the 125cc racebikes, before making it into production. As Ducati began branching out from a commercial perspective, larger motorcycles were needed. Thus, the 250cc was born. Again, Ducati first tested new engine combinations on the track before introducing them into production – first as a 200cc and then as a 250cc. These larger bikes were used to expand the Ducati brand beyond Italian boarders, with the UK being a prime target. And while 250 Monzas are not desmo engines (valves are closed by regular springs), they represent part of Ducati’s expansion into larger, more fertile markets. A rare barn-find in rural Illinois and restored to near mint condition, this early Ducati exeplifies the simple design elegance that has become a Ducati trademark. Speedometer reads 416 miles, but we are unsure if that is actual. 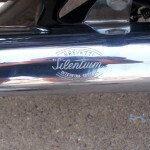 Very original right down to the “Brevetti Silentium” muffler. 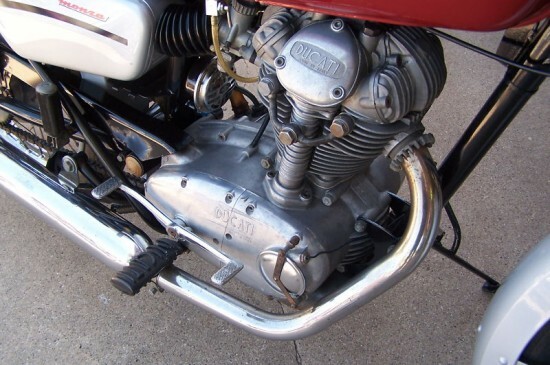 Some light pitting can be found on the chrome due to storage humidity, but overall, this is as close to a factory stock bike as you are likely to find. While no collector would ever store one of his prized motorcycles in a dank, dusty barn, the term “barn find” excites the senses all the same. 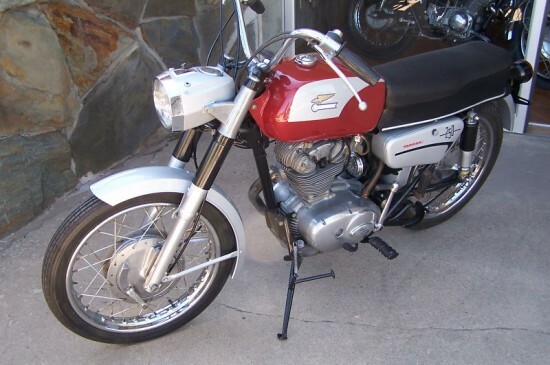 The idea that an original, unmolested motorcycle from the 1960s might still be around today hidden away drives the collector market forward. Had this been a green frame 750ss then you might have been able to read about the find in the Wall Street Journal. As it is a 250 Monza, however, it becomes a very unique and interesting find that mere mortals can afford. The 250 class of machines, with an air cooled single cylinder motor and bevel drive non-desmo valve gear, would be a wonderful runner around town. It is historically significant although not terribly rare in terms of production numbers. And let’s face it: this bike certainly has the “cool” factor that even the cafe racer crowd would acknowledge. The price on this bike is $5,500 or best offer. There might be an opportunity to snag what appears to be an original Monza for a pretty fair price! For your opportunity to see more pictures and learn more about this particular bike, click on the link and jump over to the auction. Good Luck! 8/4/2011 Update: Post has been modified to clarify that this is NOT a desmo bike (although Ducati did race desmo singles during this time frame). The production Monzas used conventional valve springs to close the valves. A quick tip: If the cam cover has the engine size (i.e. a number) stamped on it, then it is a valve spring head; Desmo heads have a “D” stamped on this piece. Many thanks to sharp-eyed reader Danny for keeping us honest and accurate! I remeber UBC for a few months. My Father Brought home a Gift for me A Ducatti 250 Diana Monza. This was for winning a 5 year full paid scholarship. to be my chariot to UIBC and home . 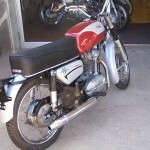 That it was, I had owend several Bikes A 650 boniville I had to sell as I left the Uk to Come to Canada. 200 tiger cub was my offial lerner bike some aincient bikes we resurected from th scrap yards . But that Diann was Not only a fast 250 it was perhaps the most stable of any on the road so speed Wobbles and I tempted them! The Best testiment to That buiikes true stock top speed Was the speeing ticket Mailed to Me . UNfortunately I was in a Coma whe the ticket arrived only 2 days afer te event I had a severe head on Collision. I was 21 now 65 and Well fro those injuries 60 days in a coma I survived because What made that bike stable and Corner fastr tn the invading jap screamers . Was the frame and My LIfe gaurd. I hailed that ticket because on the 8 miles of nasty river road Of th 1960s in Delta Te Officer clocking on radar never saw me under 85 MPs and typically 110 to 113mph Clocked by a failing police cat with Vascar radarsystem. He gave up when I settled in to a Never SUB 100Mph much has been said of the MAch 1-3 103 Mph being fastest but the sprockets of the Machseries were Geared For a better top speed and the Gear ratioes lowere in 1 and 2nd to give it compettitive off the line . MY Monza Was distinctly slow from 0 to 5 mph much like a excessive turbo lag. but from 5 to topsped it was unmatched and the use of great 6 speed Gearing made this bike a true Poor students choice of bike. consistent 80 to 85 mpg. even with the Bik wind screen of the day . 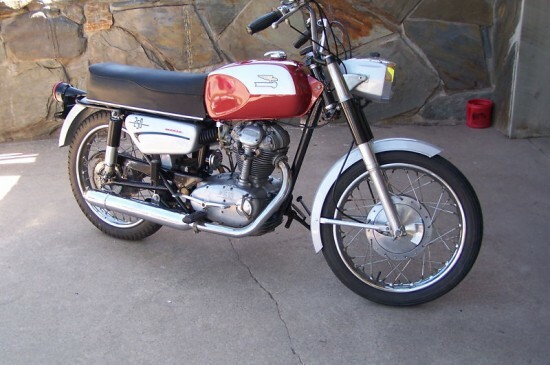 Would I own a new bike 250 monza IN A heart beat. IN a world dominated by 650 rockets and 1800 Cc mamoths that monza had it all! room for luggage and comrfot a noted lack of kidney shake. IN 4 months I clocked over 10000 miles on that bike. And I only replaced the Battery As the Post broke off due to poor housing. I curred that . I see all these bikes for sale with no miles on them obviously not Motorcyclists . Thjat owened them. Approaching 65 ANd Single I am re living my yoinger days. Despite a near death experience I am searching for a New to me bike.. THUs the real reasons Ducatti was a World beater is now uncovered . OH the timming never was adjusted and was as new on its last breath . THe Chain was made of too soft a steel. And I would love to see a belt drive for this .